DOCTOR WHO - Which are the best JON PERTWEE stories? | Warped Factor - Words in the Key of Geek. DOCTOR WHO - Which are the best JON PERTWEE stories? 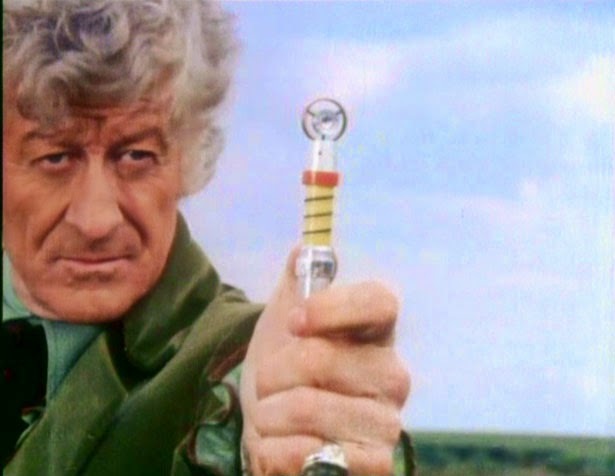 As we continue our look back at the best stories from each Doctor's era, we reach the Jon Pertwee years. In reverse (the polarity) order, Matthew Kresal presents five of the best from the Third Doctor. Few eras of Doctor Who can be said to have been as vital or have such long lasting effects upon the series as the Third Doctor's era. When Jon Pertwee took on the role of the Doctor onscreen at the start of 1970, the series appeared to be on its last legs with ratings having declined during Patrick Troughton's last season. It was entirely possible that the show's seventh season across the early months of 1970 could have been Doctor Who's last. Thankfully, that wasn't to be the case. The outgoing production team of Peter Bryant and Derrick Sherwin had picked up upon the successful formula of the Troughton era story The Web Of Fear and, after bringing UNIT into the frame in The Invasion, brought the Doctor down to Earth quite literally with a new Earthbound set-up. This would serve as the backbone of the era and it saw the show not only hold onto viewers but actually saw the number of viewers increasing, guaranteeing its future in the process. More than that though, the Pertwee era has left some long last effects on the series as a whole. While it might not have introduced either the sonic screwdriver and UNIT (or indeed the Brigadier), the era certainly made strong and frequent use of them to the point of establishing them as staples of the Doctor Who universe. The era did though introduce the Silurains, the Master, multi-Doctor stories, Sarah Jane Smith and the Sontarans (amongst others) who have all reappeared in the years since and have played large roles in the New Series decades later. As a result, the Pertwee era of Doctor Who stands as an era that not only was popular at the time of broadcast but also both saved the show and continues to influence it to this day. 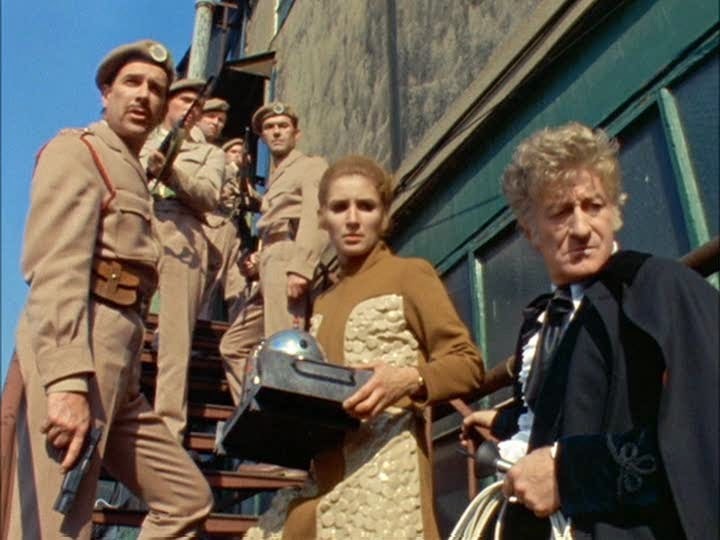 Despite a title that fell in the cracks between the outgoing production team and the new one coming in, Pertwee's second story remains one of the best from his era. 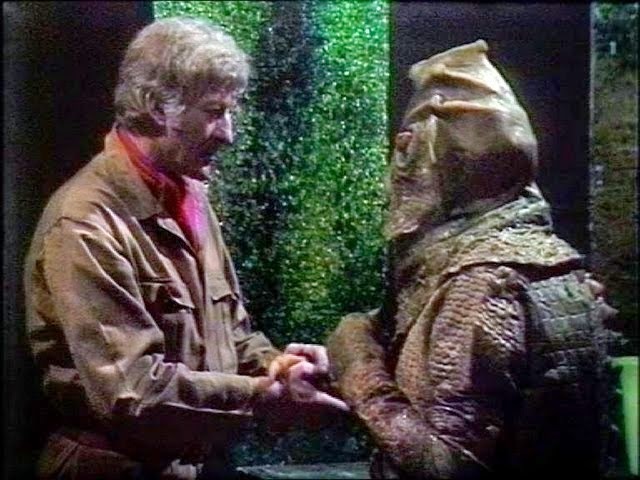 Doctor Who and the Silurians sets up the formula used in more than a few other stories, strange happenings at a British government funded scientific establishment seeing UNIT (and in turn the Doctor) being called in. But few of those other stories would have quite as much success with the script as writer Malcolm Hule did here. Hulke uses all of the seven episodes to great effect in helping to flesh out the story's characters, their motives and the effect they ultimately have upon events. The story also fleshes out the Silurians as well, making them amongst the more three dimensional “monsters” of the Pertwee era. So successful is it in introducing them that their New Series return in 2010 stole whole parts of the this 1970 adventure wholesale, though with much less success. For those used to New Series regeneration stories being almost a celebration of their respective Doctor's era, one should look back to Pertwee's final story from 1974. While perhaps a tad too long at six episodes, Planet of the Spiders certainly works as a celebration of the era nevertheless as it brings together threads and elements from across all five Pertwee seasons, including an epic chase in its second episode, the return of the blue crystal that the Doctor picked up at the end of the previous season in The Green Death (bringing with it a mention of previous companion Jo Grant as well) and some intriguing Buddhist themes that had been creeping into the era for sometime thanks to producer Barry Letts. 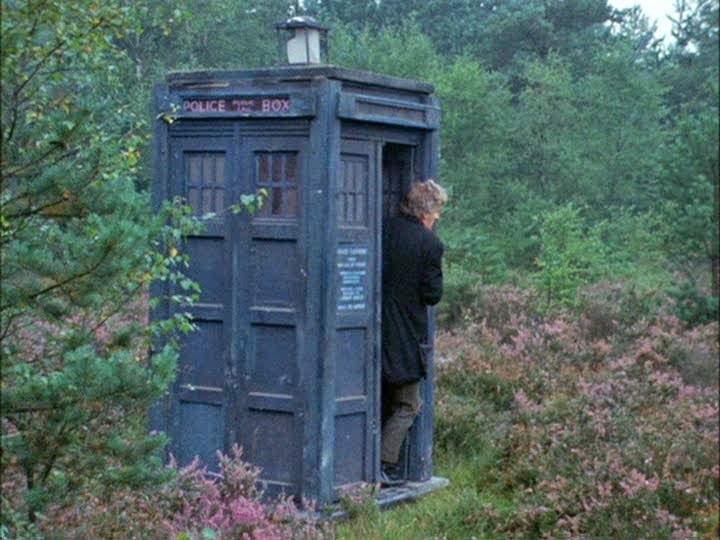 Ultimately though, it's a last hurrah for Pertwee's Doctor and a fitting exit for him as well. Of the four stories of Pertwee's first season, perhaps of the entire era, none would be more crucial than Spearhead From Space. Not only did it need to introduce a new Doctor and companion, in the form of Caroline John's Dr Liz Shaw, it also had to introduce the Earthbound setting and reintroduce Brigadier Lethbridge-Stewart and his organization UNIT - which in turn hadn't been seen since The Invasion had aired over a year before. 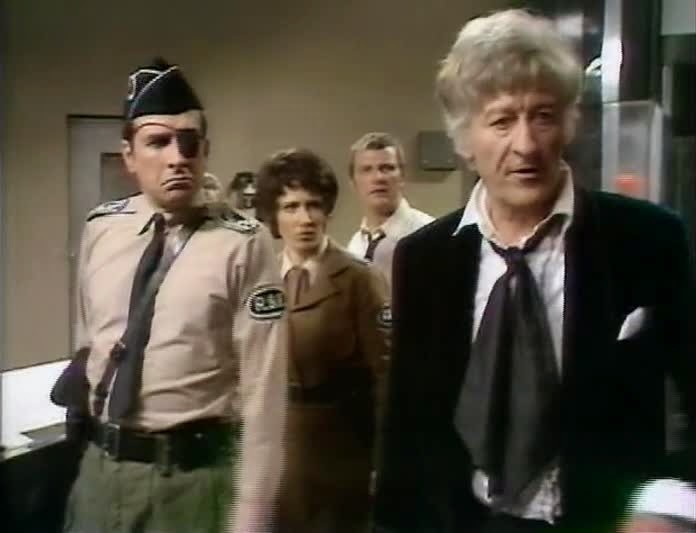 How better to do all that then with an alien invasion story which Robert Holmes' four-parter does splendidly, while also introducing Pertwee's Doctor who seems almost fully formed within a couple of episodes. With just a mere four episodes, the formula for decades worth of stories had been established and it remains one of the best Doctor debut stories as a result. Every era of the show has a story that is quintessential for that era. If any story can be called that for the Pertwee era, it's this story that ended the show's 1971 season. 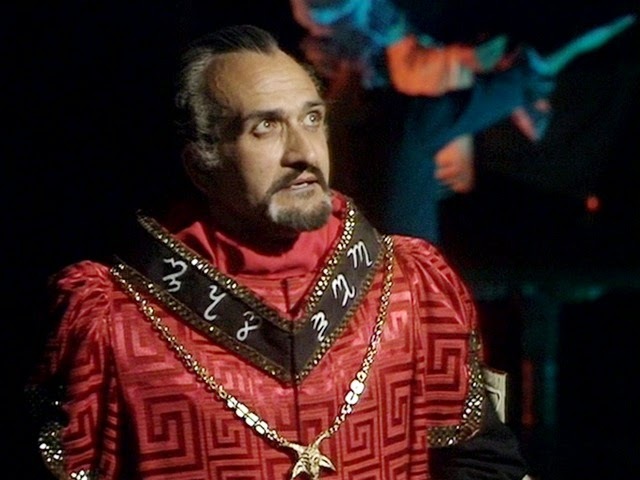 The Daemons is everything that makes the era what it is: Pertwee's Doctor, the UNIT family is all in place, Roger Delgado's Master at his charming and malevolent best, with it all being set in a small English village where an archeological dig unleashes something ancient that is threatening to destroy the world. While it certainly borrows at least some of its basic premise from Quatermass And The Pit, it's just one more example of how Who can take an idea and do its own pastiche of it. Combined with the performances and some wonderful location filming, the result is one of the best stories of the Pertwee era. Inferno, the final story from Pertwee's first season, is in many ways that season's ultimate triumph. In it all of the elements (mad scientist, monsters, scientific establishments, UNIT) that had been successful during the season came together yet again, and this time came out being something quite different from any other story before it either in Season Seven or the entire run of the series prior to that point. That is largely thanks to the fantastic parallel world plot which gives the entire cast a chance to show off their range in a Fascist controlled Britain (especially Nicholas Courtney as the Brigade Leader) but also because it gives us something even more rare: the consequences of the Doctor not being able to save the parallel world which heightens tensions even more for “our” world. The idea is one rarely seen in the series, and it wouldn't be until Russell T Davies wrote Turn Left in 2008, which makes Inferno all the more unique in the annals of the series and for the Pertwee era in particular. 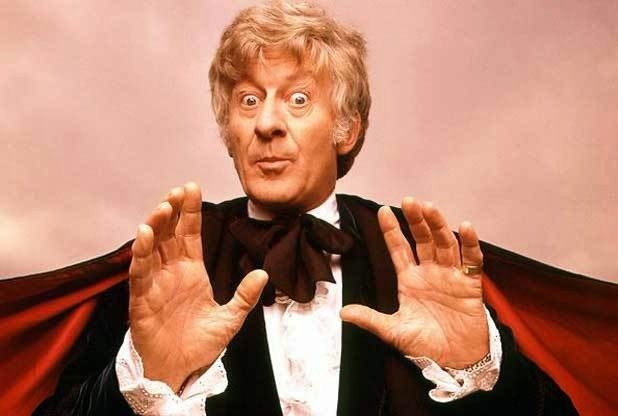 So which do you think are the best Jon Pertwee Doctor Who stories? Next time it's the turn of the Second Doctor, Patrick Troughton.